I don’t know if any Nexus One owners ever doubted that their slightly older Google branded handset would get the official bump up the Android ladder. I know I certainty didn’t, and now the update has been made official. 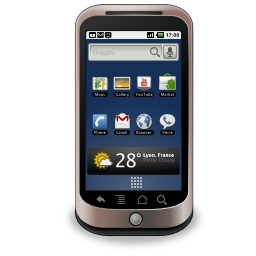 @googlenexus – The Gingerbread OTA for Nexus One will happen in the coming weeks. Just hang tight! So far it’s the only other current Android phone to get the official Android 2.3 Gingerbread nod. I’m sure some of the newer handsets like the EVO, G2, and myTouch 4g will eventually follow suite. Again, you’ve got to remember that it’s up to the carriers and manufacturers in some cases, if and when a device will get any official updates. In the mean time if you have a rooted Android phone and can’t wait for the real update, you can checkout to see if your device has a successful Gingerbread port up and running.